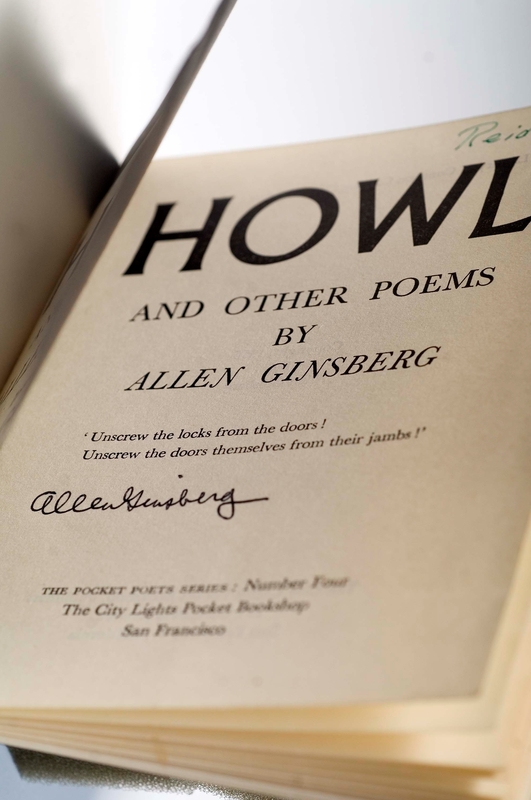 This first edition of "Howl and Other Poems" by Allen Ginsberg is one of only 25 typed copies the poet sent to friends before the book came out. Credit: Raymond Danowski Poetry Library collection; Rose Library at Emory University. Local poets and members of the Emory community will participate in poetry readings and a group recitation of Allen Ginsberg’s “Howl” on Thursday, Nov. 2, 2017, from 6:30 to 9 p.m. at Emory University’s Woodruff Library. The event, open to the public at no charge, will take place in the Jones Room on level 3 of the library. Emory faculty and students will perform “Howl,” with local poets reading their own works that were influenced by Beat writers or the themes of “Howl” (such as mental illness, paranoia, freedom and confinement, and spirituality). The Emory community includes faculty, professors, visiting professors, staff members, postdoctoral fellows, and graduate and undergraduate students. Confirmed poets and readers include Jericho Brown, Emily Leithauser, Nathan Blansett, Christeene Alcosiba, Paige Sullivan, Marlo Starr, Caroline Crew, Bill Fogarty and Alysia Nicole Harris. The event, sponsored by the Stuart A. Rose Manuscript, Archives, and Rare Book Library, is in conjunction with the exhibition “The Dream Machine: The Beat Generation & the Counterculture, 1940-1975,” now on display in the library’s Schatten Gallery. The Woodruff Library is located on the Emory campus at 540 Asbury Circle in Atlanta, 30322. Parking is available in the Fishburne deck. For disability-related accommodations, please contact Maya Cody at 404-727-7620 or maya.cody@emory.edu in advance.